Jeju Island is gearing up for the PGA Tour starting next Thursday and some of golf's biggest names have already been confirmed as playing in the tournament. 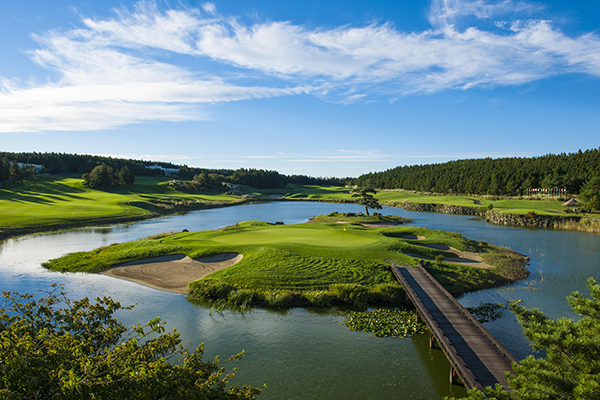 The event is The CJ Cup @ Nine Bridges and it will be the first oficial PGA tour event to take place in Korea. In total, 78 players will participate at the tournament on Jeju. This includes the 2016-2017 PGA Tour champion Justin Thomas, as well as former world number one Jason Day. 2013 Masters Tournament Champion Adam Scott will also feature at the tournament. In terms of players from Korea, winner of the 2017 Players Championship Kim Si-woo and Kang Sung-hoon from Jeju will also be at the tournament which will feature at least 14 Korean players. The tournament itself will be held at Jeju Nine Bridge golf course for four days from Oct. 19 till Oct. 22. The CJ Nine Bridge golf course, which will host the competition, was ranked 41st among the top 100 golf courses of the year by Golf Magazine and received the brand recognition. The Jeju tournament will be broadcast live in 227 countries worldwide through the golf channel designated by the PGA Tour. About 40,000 people, including the gallery, will visit Jeju during the tournament. It is expected that this will not only to contribute directly or indirectly to the local economy such as sightseeing, accommodation, shopping, etc., but also act as an opportunity to inform these visitors about Korean culture.